Running a restaurant at what will be the largest capacity football club ground in London might seem an unlikely move for a Michelin-starred chef best known for his award-winning haute French cuisine. It certainly seems a far cry from his previous central London ventures Galvin at Windows at the Hilton Park Lane, and Galvin La Chapelle in Spitalfields. But it all makes perfect sense to Galvin, who is brimming with energy having already opened two new restaurants this year. 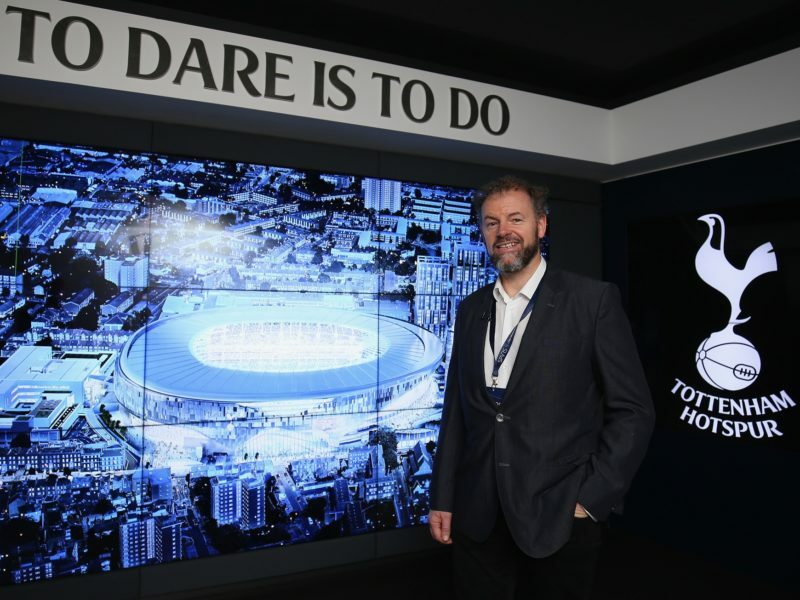 Galvin is now gearing up to design and prepare the menu, and oversee the service delivery at a range of Tottenham Hotspur matches next season. He talks inspiration, the dynamic world of gastronomy and his latest move to Tottenham Hotspur’s new stadium. Where did your love of cooking begin? I think it was a couple of things; when I was about six or seven years old, my dad won a bet on a horse race and he bought a second hand car and drove us around France and I became hooked. My nan also used to grow a lot of produce, so we’d go round and pick gooseberries, rhubarb, blackberries, apples, pears and potatoes. She had a huge family and was always cooking. I also loved cooking which unfortunately wasn’t on the school curriculum. How did your upbringing influence your cuisine? It was all about family. As kids, we always used to go around my nan’s. There would be up to 30 of us and she always made sure every family went away with an apple pie. You received your first Michelin star in 2000: what has been the impact of your award on the Galvin restaurants? It’s huge. Obviously it has been great for business and an excellent tool for recruiting the best staff. It’s also recognition of hard work – people were recognising why we were working so hard. Would you say it has changed your way of cooking? A couple of schools have taught based on this and some chefs do cook for this [Michelin recognition] but some chefs will just seek out the best ingredients and work hard and it comes as a result of doing things well. I’m the latter of the two. 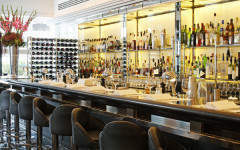 Galvin at Windows has maintained its Michelin star since 2009; how do you keep it great? It’s by inspiring the team. We are constantly taking them out to markets and vineyards – we get them on boats and send them out with trolleys; it’s just having an appreciation of ingredients and what we can do with them. I was at the market this morning. Chestnuts are coming into season so that gives me an idea of what I’ll be doing, pomegranates are also arriving – so we try to take the chefs out to get involved in the whole process. Who or what has inspired your food at all your restaurants and why? I worked for Sir Terence Conran Restaurants for ten years and he always encouraged me to go and work in chef’s kitchens. It’s called ‘stagiaire’, where you go and work for free in kitchens which I did it in France for about 20 years. But Sir Terence was always telling me to cook simple, so he was a great influence on me. What’s your all-time favourite dish to eat at any of the Galvin restaurants? Probably the crab lasagna – the customers get upset if we take it off the menu. All your restaurants serve French cuisine, but what do you think differentiates your restaurants from one another? We have a portfolio of very different restaurants. 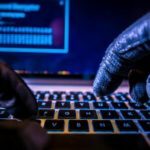 They’re all trophy sites, and they are all really beautiful, be it the Parisian style of Bistrot de Luxe at Baker Street or the beautiful views at Galvin at Windows; and La Chapelle is a 120-year-old chapel. 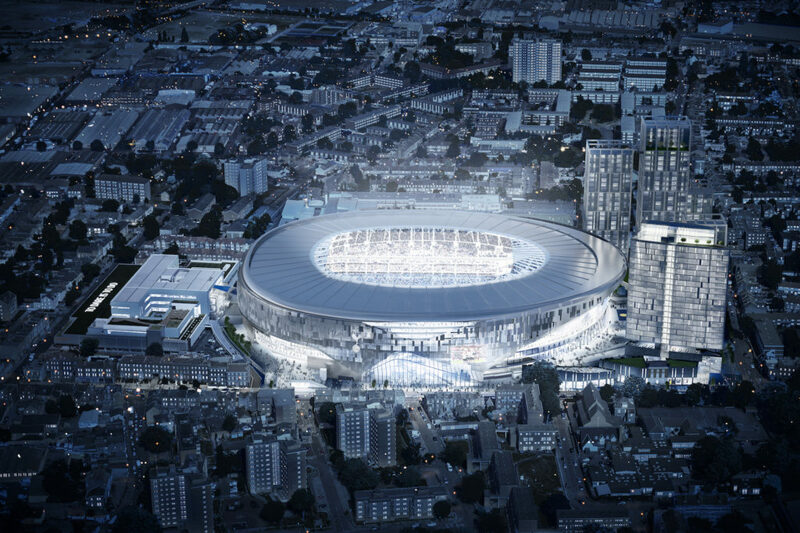 And of course Tottenham Hotspur’s new stadium will be state of the art, one of the best in the world. I think for any chef, it’s very important to have amazing ingredients and to have a great audience and then a stage. What inspired you to get involved with Tottenham Hotspur? One of the biggest attractions was the ambition to go into one of the most incredible stadiums and actually to be able to bring a restaurant experienced to it, as well as unrivalled hospitality in that space. I’m mad about football and just by coincidence, I’m a lifelong ‘spurs’ supporter. My nan was born just down the road at Seven Sisters, so it’s a no brainer for me. Can you give us an idea of the dishes you’ll be serving up? And how are they different to the ones in your restaurants? People at football games want to make a day of it, so we are planning to reflect that in restaurant experience. The dishes will be seasonally-driven and ingredients-led. I also started going to the gym a few years ago and now I know how long it takes to take 300 calories off, you start to think about how much butter or sugar you’re using in your food. La Chapelle is probably similar to what we want to achieve. It’s about food which is pleasing to the eye; making things that are interesting; smoking and curing everything ourselves. And I’ve always enjoyed working with fish. When you’re asked to work with big companies, you get locked into ways of buying that don’t really suit chefs, but Tottenham Hotspur arevery open-minded; they’re even producing their own microbrewery on site. How different do you think the vibe at On Four will be to the one you’re used to in your restaurants? The views are incredible and you’ll really feel like you’re part of the action. We are lucky at Galvin at Windows, because we have views from the 28th floor across London – On Four is similar and really reminded me of Galvin at Windows. Did you ever think one day your cooking would be tied in with football? No, I never did. I was interested because I saw chefs like Raymond Blanc moving to stadiums and my friend Gary Rhodes was cooking at Manchester United. I knew a number of big name chefs were doing it and obviously raising the bar. We are very ambitious and we want to be among the best, like the Roux family (who will also be cooking at Tottenham Hotspur’s new stadium), whom I’ve admired since I was a kid. They’re legends of the industry and I can’t believe we’ll be in their company. You and your brother opened Demoiselle Dubai and Galvin Dubai earlier this year, and now you’ll be taking over the entire On Four menu at select Tottenham Hotspur matches next season. How do you keep up and stay at the top your game? It’s because we love what we do: ‘find a job you love and you’ll never work again’. I was at the market at 5am this morning. I’m 60 next year but I love working with young people, who are risk takers. If we don’t take risk and make mistakes, we will never push forward. Equally our customers are an inspiration to me because they’re so well-travelled and teach me about new things and places. I like being pushed and inspired. Any principal observations on the changing face of gastronomy since you first started? When I first started at Ritz, we had one book, a French cookbook called Le Repertoire and we couldn’t cook outside our book but now it’s just amazing how much is out there. I also worked in New York in the 80s, and for years, people saw London as New York, but it never was. However, I think it is now. It’s a melting pot of different cuisines. There are so many fabulous ingredients and we are actually producing in Britain and we have some great growers. There are no rules, just great flavors. 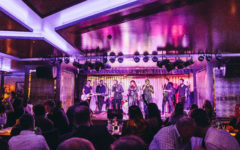 I also love the whole pop up theme with restaurants across London – there’s so much on offer. I also think media offers a new experience to readers and listeners, encouraging them to explore so much more. Have your own food preferences changed over the years? I’ve always been quite greedy. I like to try new things. This morning in the kitchen we were talking about the New Covent Garden Market in Stratford, where there’s a lot of Asian produce there. I had to ask my guys what a lot of it was and I was amazed they knew and were using it. So I bought couple boxes of saag – it’s like Spinach – to add to some dishes today. So the dishes just write themselves. My taste changes all the time. Finally, what does the future hold for the Galvin Brothers and Galvin restaurants? We learnt early on never to say never. My eldest son works front of house at Galvin Green Man and my youngest son is front house at the Goring Hotel. My brother’s boys may want to join the business. My daughter is an artist and has always wanted an art café. However, for now we are so excited for Tottenham – we’re majorly excited about that. 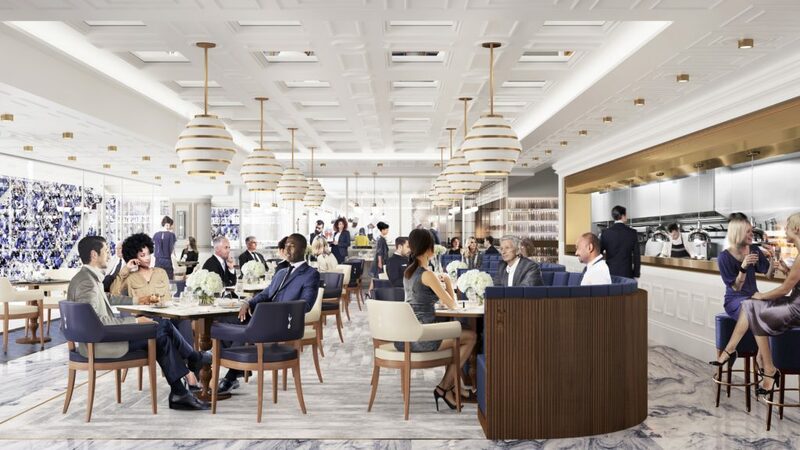 Set to open in 2018, the On Four lounges and suites, located on level four of the new stadium, will offer a range of Michelin star calibre dining experiences, including a Chef’s table and Player’s table where guests can dine with Club legends. In total, six signature chefs will provide a refined and varied menu for guests on different match days throughout the season. Galvin joins the Roux family in bringing his critically acclaimed cuisine to On Four at Tottenham Hotspur matches next season, with the remaining signature chefs set be announced soon. Full details of all On Four packages available can be found here.